Definitely one of the best places to eat in Saugeen Shores. Great, friendly staff, fresh flavourful food and something different! Check them out, you won't be disappointed! Congrats on your award, we knew you would be a success from the beginning. Great food and nice owners will do it every time!!! Knew you could do it!!!! Absolutely loved this restaurant! I am gluten intolerant, and there were a few items I could order off the menu, and substituting certain food items to accommodate my allergies was no problem. Knowledgable wait staff re ingredients etc. Food was delicious, full of flavor, and for me, woory free. My new, favorite restaurant. Grew up in Port Elgin but now living in Hamilton was very excited to see an international restaurant finally in my hometown. Had the excited pleasure of trying Saffron over the holiday season and ordered the cuban pulled pork wrap. I was blown away buy the flavour of the wrap, I also thoroughly enjoyed the chick pea salad that came with it. I also really liked the sauce that was drizzled on the plate......I think that sauce should become part of the wrap. I look forward to coming in and ordering food again in the near future. Pad Thai, Honey Chicken, Cuban Pulled Pork, Morrocan Orange Cake. Very Rare, that everything that we tried last nite was new to us, but received an Enthusiastic thumbs up. Thanks for the pleasant surprise. Keep up the good work! Can't wait to come back. First visit today Dec. 20--must really say first of many to come. We had two spiciest items on menu and enjoyed both thoroughly. Will be working our way through the entire menu in the future. Although I am a devoted carnivore, I'll even try the meatless dishes just for the exotic flavours. About time we had someplace in Port Elgin with such well-prepared exotic dishes, great service and reasonable prices. 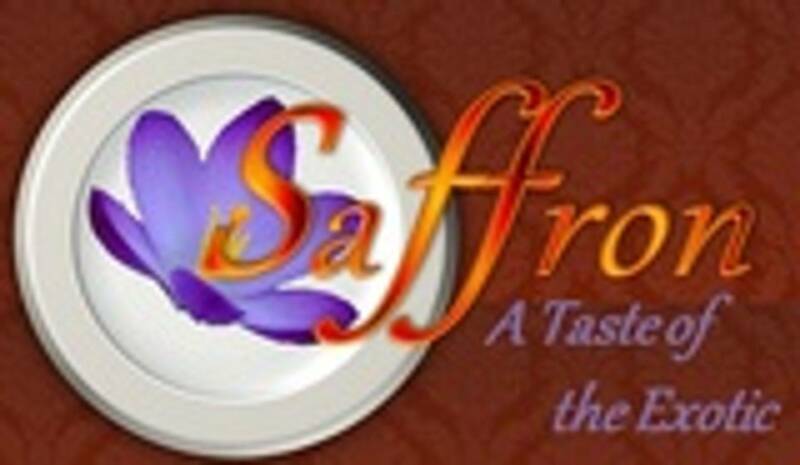 Love, love, love the food at Saffron!!! My two favorites are the Chick Pea Doubles and the African Peanut Stew which is just wonderful. The servings are so generous that i always have left overs - and the chick pea doubles are really, really good re-heated in the oven the next day! I am delighted to have such a wonderful spot to dine in Port Elgin. The restaurant is not fancy but is clean and comfortable with outstanding staff - a welcome addition to the community for sure. I've been lucky enough to have eaten at Saffron several times and am more than half way through the lunch/diner menu. Everything has been delicious, and my only complaint is that I clean my plate every time, rather than keeping some for yummy left-overs! The new Spring Rolls are devine. Great service and great food!